Every online business knows that “money is in the list”. Therefore, they know the importance of funneling leads to their email lists, selling them their product or service. That’s where landing pages come in. 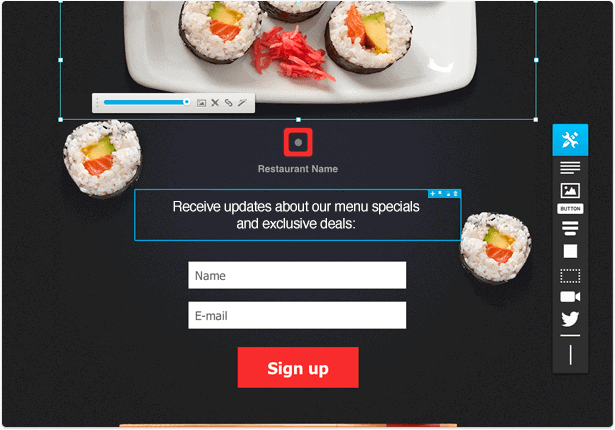 Through landing pages, you capture the prospect’s interest, pitch them your service or product or simply collect their emails over a free lead magnet. You can later use this to do email marketing. Now, with so many landing page builders around, you definitely need to know what the best for you is. Today, I will compare two of the leading landing page builders and see what is more appropriate. GetResponse is one of the leading email marketing product and has carved a niche for itself in landing page segment (click here to read detailed review of GetResponse). It currently serves in around 182 nations and over 350K happy users. Let us take a look if it stands straight on our benchmarks. GetResponse has over 500 professionally designed email templates that are conversions-optimized. These pages include a variety of templates to help you in lead generation. GetResponse landing pages include, squeeze pages, optin pages, promo pages, download pages, webinar pages and lot more. You also get access to over 1000 premium royalty-free stock images istock to design your own version of landing pages. GetResponse also supports drag and drop landing page builder so that you can add or remove any element from default landing page or create a new one altogether. You can directly publish your landing page live from this mode without even touching the HTML or coding aspect. Instapage is in the landing page business since long. It has some of the most conversion optimized landing page templates built-in. The visual editor also supports easy customizations with the drag and drop builder. The URL import facility gives you the option to import any other landing page you have previously created with any other tool. It also has 100+ pre-built templates that are great to go. GetResponse allows great split testing features to help you determine which version of your campaign is best working. You can also integrate it with Google analytics to trace out the audience demographics, referral and goal tracking. GetResponse allows up to five variants of split testing samples for every campaign. Instapage has a basic analytics tool that is built in into it. It provides basic information about the campaign but is not as competent as Google analytics. This feature will turn away serious marketers from it. GetResponse integrates with a whole suite of web apps to give more power to your lead generation campaigns. It offers integrations with social channels like Facebook, Twitter and LinkedIn. GetResponse supports PayPal integrations to help in monetary transactions in landing pages. You can create your landing pages on your Facebook fan pages and promote your business there too. Instapage also offers advanced levels of integrations with many of the web services to streamline your marketing campaign. It includes GetResponse, madmimi, salesforce, lead generation softwares etc. In today’s scenario of internet marketing, mobile devices hold a lot of importance. More and more people are now carrying out their online activities on mobile and hence, it is important that your landing page should be mobile responsive. GetResponse has mobile responsive landing pages too. Instapage is responsive in its landing page designs. This ensures you can collect leads, and make sales to a customer even when he is at his mobile. GetResponse has a great user interface that lets you design the best landing pages with a matter of seconds. You can use their WYSIWYG editor to carry out editing works of your landing pages with ease. On the pricing front, GetResponse has a free trial option for those who are new to email marketing world. Their paid plans start from $15 per month for 1000 users, which is quite affordable given the rates of other landing page builders out there. You can increase your packages as and when your user volume increases. Instapage is also easy to use but is limited in designs and stock photo integrations. This means you have to buy a premium service like picmonkey or Shutterstock to create your own beautiful visual images. The pricing too starts, at a high end, which is a minimum of $29 per month. This is double of what GetResponse charges. They do have a free version for up to 45 days. GetResponse offers better landing page templates along with 1000 free stock photos, which save you the money for another premium image editor? GetResponse is in itself a fully-fledged email marketing tool while Instapage it a landing page builder. Using Instapage will cost you another buck for getting an extra email marketing service. Even on the pricing front too, Instapage is costly in comparison to GetResponse not only direct package wise but also because it is limited as a complete lead generation tool. Click here to try GetResponse for FREE. Thanks for this amazing post man. This post is really very useful to us and I also this about this idea. Thanks for sharing your ideas with us. As I was also think of this so it will be very helpful to me. The very first face of any company or any product is its website’s landing page. In this digital era, the companies are focusing on building up the page that will define more about their services and their objective. The companies collect visitor’s information through various ways or by asking them to fill the visitor’s form. When we want to build our landing page with GetResponse, then we will get more than 100 templates for that. When we are done with creating the Landing Page, then with the single click, we can share it or send it Live too. Eventually, thanks for reveling a light on this topic. You know I’ve heard a lot of great things about GetResponse over they recent years, and I seriously didn’t know that it came with it’s own landing page builder and templates. Which definitely makes it a very competitive and valuable tool for marketers I guess. At the present moment in time I’m using MailChimp as my provider and Thrive Content Builder for landing pages, and the setup is pretty sweet as it’s really costing me nothing at the moment. Apart from investing in TCB to begin with of course. Split testing is a critical element I think all landing page builders should have. TCB doesn’t have split-testing features sadly. Great comparison review mate, thanks for putting this together.